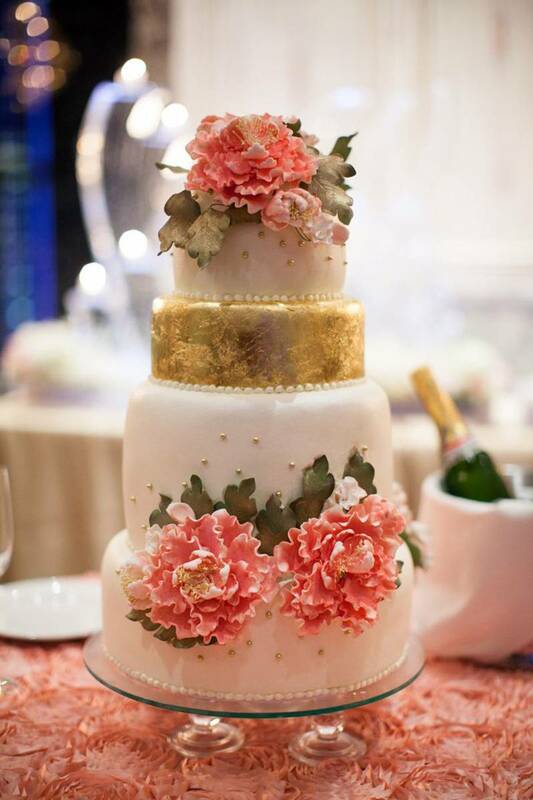 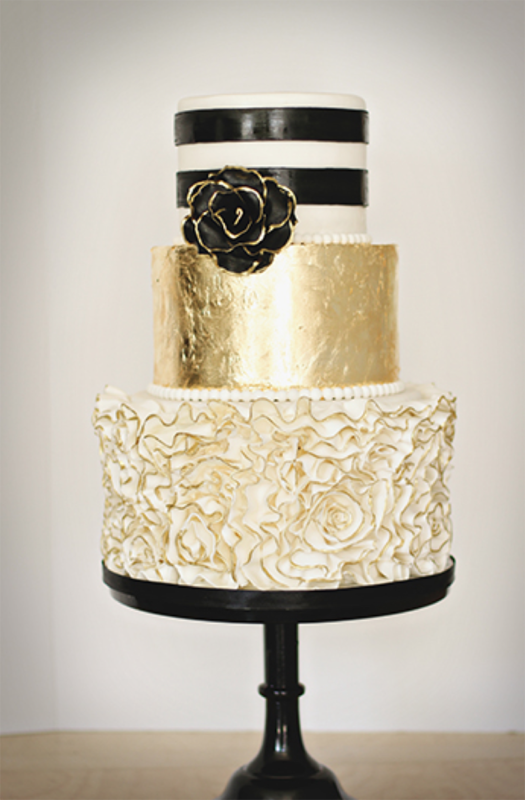 Showcase glamour and sophistication on your wedding day with a shimmering gold wedding cake! 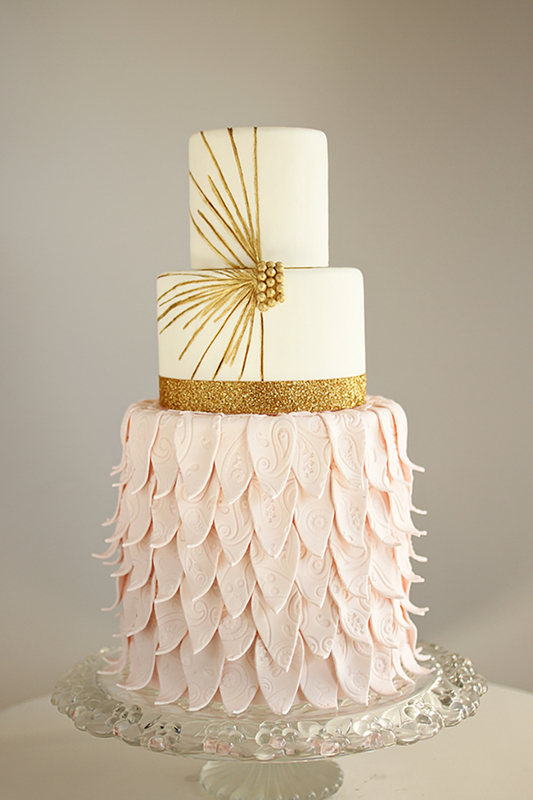 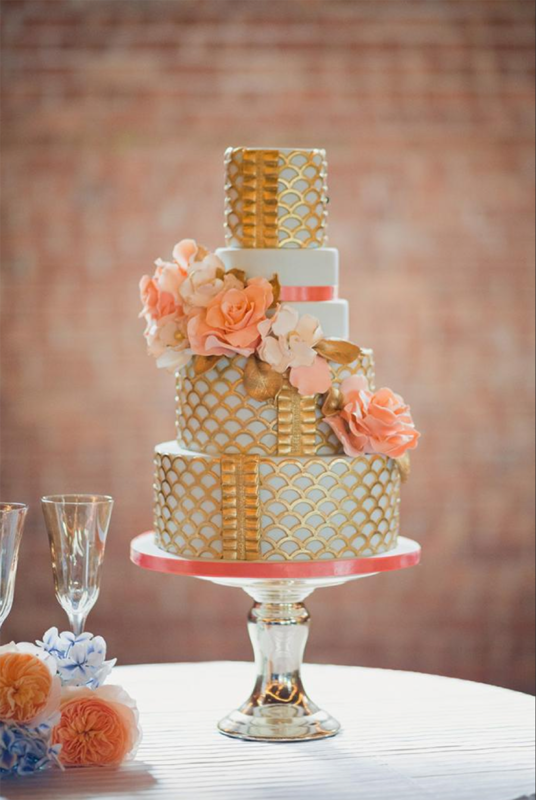 Keep it simple with a light golden pattern, or go full out with a completely gold painted cake. 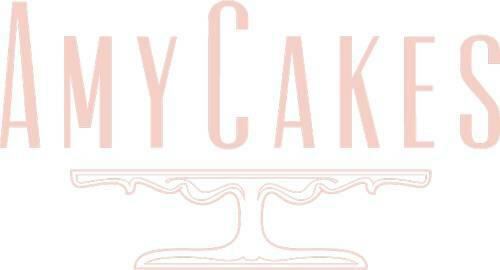 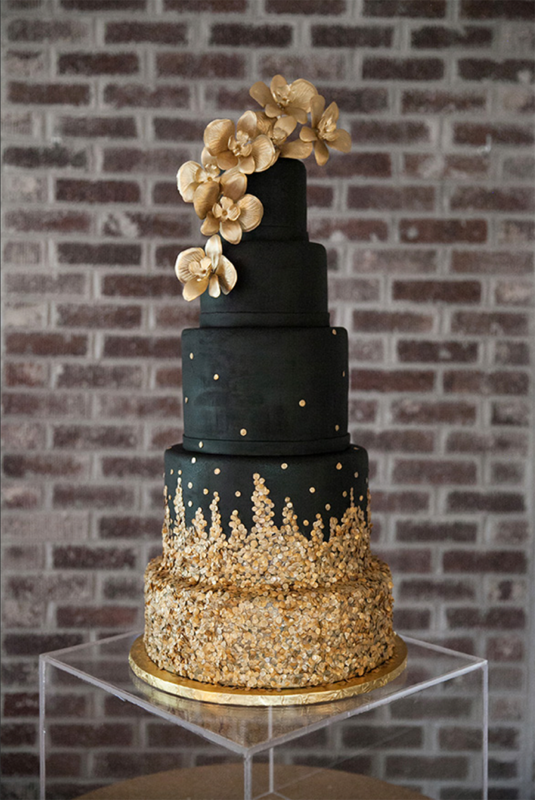 Either way, your cake is sure to dazzle guests! 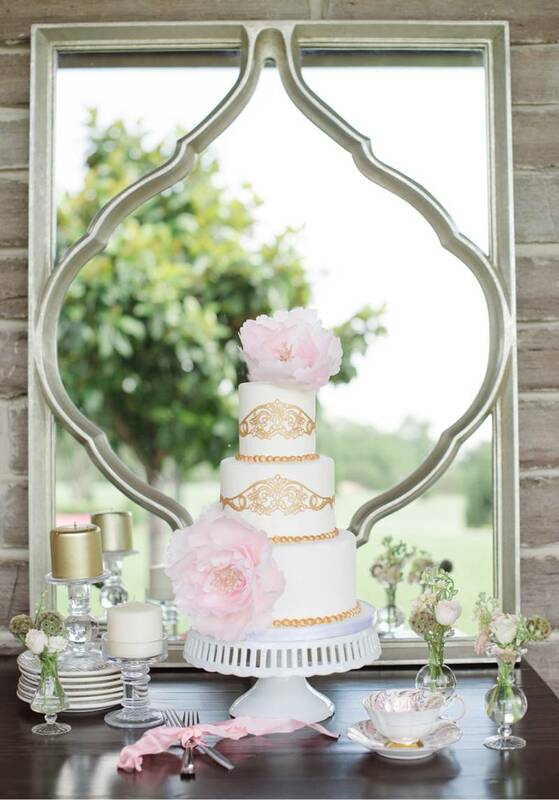 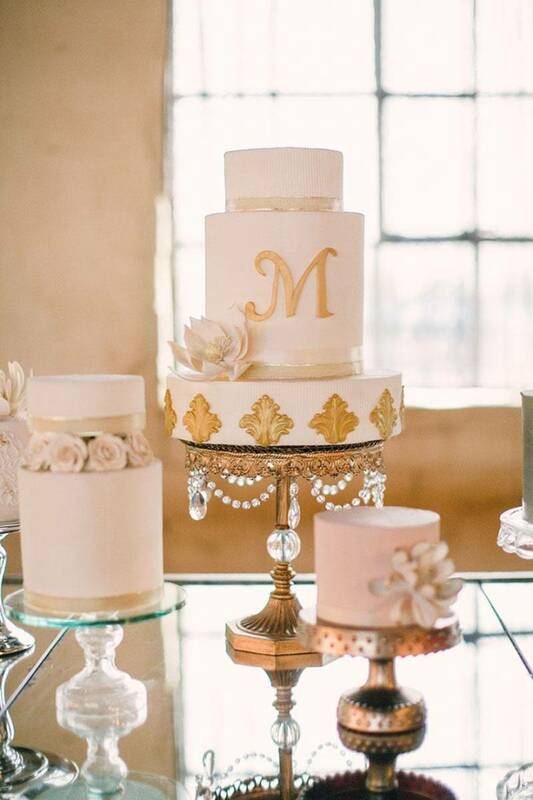 Here are just a few of our favorite gold wedding cakes from Oklahoma cake artists!